Hello and welcome to another edition of Sealed Success! I had thoughts of taking this week to slowly get through the review for Ravnica Allegiance when I suddenly realized the prerelease was this weekend, not next weekend as I had originally thought. For some reason I thought the release date was the actual prerelease date and so I had to madly rush to get all the videos done in one day. Some time ago when I used to head the Tuesday slot I would have to do a mad dash from the Friday the full spoiler went up to Sunday night to make sure I did all the videos I needed to do. I thought that was a pain the rear, well turns out having to do it all in one day is even worse. Despite my training in proper voice technique I declined to warm up and went through the videos one by one, causing my voice to go hoarse towards the end. Let's just say I'll be more aware of my scheduling next time to avoid having to go through this issue. Because of the way the events are set up we're going to be doing the Gilded League and run through the gambit in one entire week while we set up the first two leagues in the deckbuidling stage, then we'll start February playing matches in both leagues at the same time. I believe for Guilds of Ravnica I did the draft video one week then during the following week I played the matches and did the second draft video at the same time, but for this time around I won't be doing that. I think it'll flow better to do the first draft right away and play the matches quickly to gauge how I am at the start then give myself a week to reflect and gather information so I can be a better drafter during the second draft. With all that said, let's dive into Ravnica Allegiance! I spoke about them at length last week and nothing has changed since the. You can find the article here. I'm going to be using an A-F scale for the set review. I do explain the ratings in the videos but I'd like to expand on that more in this section. The scale is meant to give a card a letter grade based upon what you would expect an A/B/C/D/F card to look and play like. A's are cards that win the game for you on the spot, they produce an immediate impact and must be dealt with unless your opponent is unable to do so. 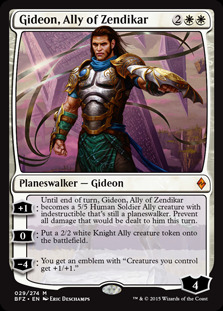 Cards such as Gideon, Ally of Zendikar and (Chromium, the Mutable) are examples of A's. B's are cards that are quite strong but do not win the game outright. They progress the game either by advancing your board position or being powerful pieces of removal. Murder and (Slimefoot, the Stowaway) are examples of B's. C's are filler cards that go in most Limited decks, or higher rarity cards with a lesser impact on the game. 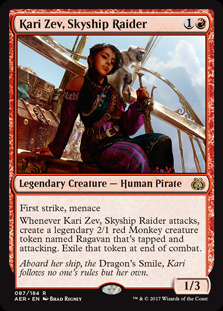 Kari Zev, Skyship Raider is an example of a C. D's are either bad cards that aren't unplayable, or sideboard cards with narrow but strong effects in the right situation. They're less reliable and not always the best answer for any random threat, but the right answer for a very specific problem. Naturalize and Plummet are classic D's. Lastly, F's are unplayable cards and/or cards meant solely for Constructed play. 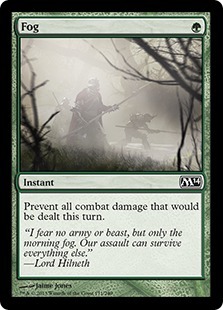 Fog is a classic F, as well as (Isolate) from Magic 2019. The purpose of this scale is to see how good a card is on its own, not how good it is with or against other cards in the set. You won't know what cards you're opening, and while context does matter for some cards, being able to analyze them independently of one another is important. Having said that, I do admit my bias while doing sealed set reviews. 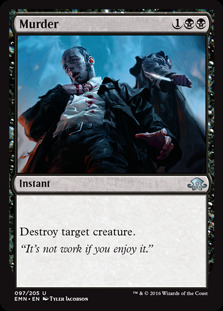 I like cards with staying power and the ability to do well in the later stages of the game and disliking cards that have more of an aggressive slant. This isn't to say I don't like/won't play cheap/aggressive cards or they are bad, I'm just more inclined to take a controlling stance in sealed deck and grind my opponent out. One of the problems with a A-F scale is a lot of cards tend to get the same grade even though they're not remotely on the same power level. A lot of the common multicolored cards got a C score, but they're clearly better than the C monocolored cards in the set. It's also a bit hard to distinguish if I'm underrating a mechanic or not, as some Afterlife cards got a higher grade due to a higher Afterlife number, but they're all still good. Adapt had the same issue as well, but I think that's just how my scale works at times. It's an imperfect method of evaluation when you come at it from any normal viewpoint, and it does take some getting used to to attempt to see it a different way. Point being: Adapt and Afterlife cards are good in general and should be played always. At a glance I believe the format will be balanced with an aggressive slant given the way Rakdos and Gruul decks will be built. With the amount of mana sinks there should still be a chance to play a little slower just like in Guilds of Ravnica but I would start off building decks with aggression in mind and go from there. As far as the prerelease is concerned I'm picking Orzhov as my guild of choice since I need (Seraph of the Scales) for my Magali Villenueve collection. I collect all edition of her cards and this will be a hard one to find in prerelease promo form, so I'm hoping picking Orzhov will help me out here. If this were not the case I believe I'd be picking Simic. I love Adapt and wouldn't mind trying it out.